When the Queen of Manchester events, Stephanie Ledigo, had her debut in London, of course I had to be there! This time, I headed to West London for the launch of the first Skin Philosophy salon and academy, an event marked by good taste and a great crowd - including a surprise celebrity appearance. Skin Philosophy was set up by the gorgeous Annalouise Kenny, offering advanced skin and laser treatments using innovative technology, with the highest qualified staff within a private and relaxed environment. Serving both as a skin and laser specialist clinic and a teaching center, this salon's offerings range from non-invasive procedures through to more specialized, invasive treatments. On the night, I had the chance to undergo a Dermaquest skin evaluation, which highlighted the good and the bad of my skincare routine. I was happy to find out that, under the surface, my skin looks better than expected, with few sun marks and a healthy hydration. The scan did, however, help me realize the areas that I was unknowingly overlooking in my daily routine, namely the triangle formed by my nose, lips, and chin. It was great to find out which products best fit my skin type, and how to improve on my skincare routine, without having to radically change any part of it. 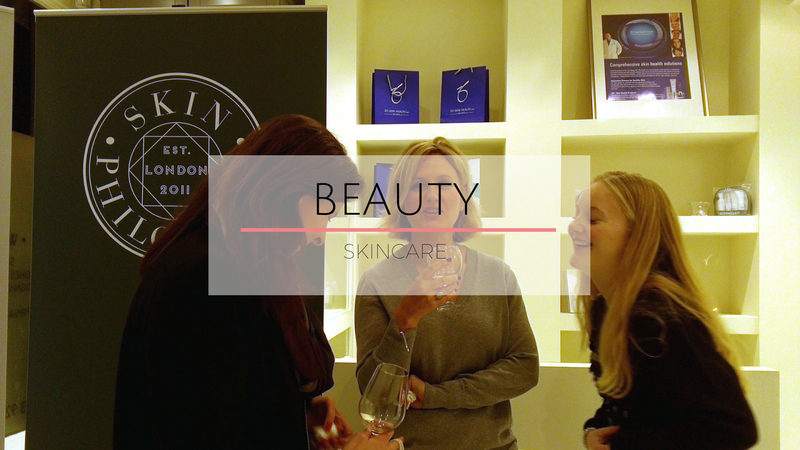 I genuinely enjoyed getting to know the Skin Philosophy team and Annalouise's story, touring the salon and academy spaces, and obviously seeing some known Manchester faces in London. Whether your skin needs a lift, a peel, a filler, or even laser hair removal, I can guarantee you will be in good hands with the Skin Philosophy team. Looks like a fun night!! I need to get my skin analysed, I'm pretty certain it's dehydrated. Looks like you had an informative night at the event! We might have just missed each other as I recently moved to London. Happy to have discovered another fellow Manchester blogger though!